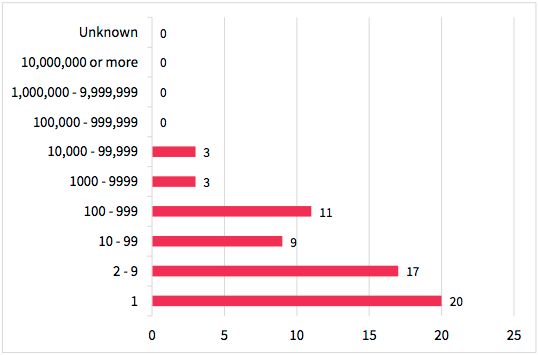 In Threatbusters, Bitglass’ 2019 Insider Threat Report, Bitglass set out to learn about the state of insider attacks, as well as to uncover what organizations are doing to defend against them. This was accomplished by partnering with a cybersecurity community and surveying the IT professionals therein. A breadth of survey questions yielded a wealth of information, ranging from the tools that organizations are using to defend against threats, to how long it takes them to recover from these types of attacks. Two examples can be found below. A staggering 73 percent of survey respondents claimed that insider threats are becoming a more common occurrence. In 2017, when Bitglass released its previous Insider Threat Report, this number was only 56 percent. Additionally, 59 percent of respondents revealed that their organization had experienced at least one insider attack within the last 12 months. For organizations to stay secure in today’s high-speed, cloud-first world where data is shared, accessed, and downloaded more rapidly and widely than ever before, appropriate security controls simply have to be put in place. 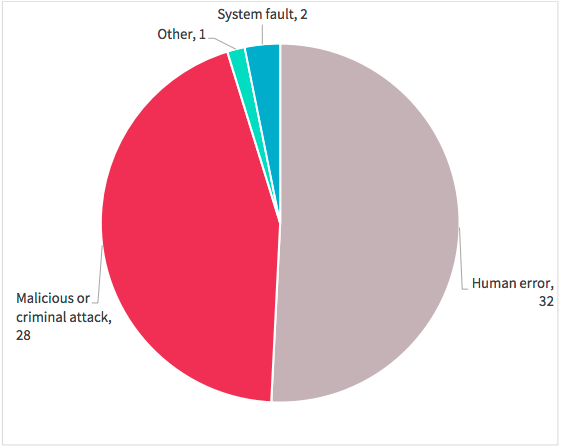 Eighty-seven percent of respondents said that it was either moderately difficult or very difficult to determine the damage done in the wake of an insider attack. This should not come as a surprise. Because insider attacks involve the use of legitimate credentials, distinguishing legitimate user activity from threatening user activity can be challenging (especially because said behavior can go unnoticed for extended periods of time if the proper tools are not in place). Naturally, this means that it can be difficult to ascertain the extent of the damage that these authorized users have done. The above items are only a sample of what Bitglass was able to uncover in its most recent research. To learn more about insider attacks and how organizations are addressing them, download the full report. Cloud computing is now widely used in higher education. It has become an indispensable tool for both the institutions themselves and their students. This is mainly because cloud applications, such as such as G Suite and Microsoft Office 365, come with built-in sharing and collaboration functionality – they are designed for efficiency, teamwork, and flexibility. This, when combined with the fact that education institutions tend to receive massive discounts from cloud service providers, has led to a cloud adoption rate in education that surpasses that of every other industry. Naturally, this means that education institutions need to find a cloud security solution that can protect their data wherever it goes. When organizations move to the cloud, there are new security concerns that must be addressed; for example, cloud applications, which are designed to enable sharing, can be used to share data with parties that are not authorized to view it. Despite the fact that some of these applications have their own native security features, many lack granularity, meaning that sensitive data such as personally identifiable information (PII), personal health information (PHI), federally funded research, and payment card industry data (PCI) can still fall into the wrong hands. Complicating the situation further is the fact that education institutions are required to comply with multiple regulations; for example, FERPA, FISMA, PCI DSS, and HIPAA. Additionally, when personal devices are used to access data (a common occurrence for faculty and students alike), securing data and complying with regulatory demands becomes even more challenging. Fortunately, cloud access security brokers (CASBs) are designed to protect data in today’s business world. Leading CASBs provide complete visibility and control over data in any app, any device, anywhere. Identity and access management capabilities, zero-day threat detection, and granular data protection policies ensure that sensitive information is safe and regulatory demands are thoroughly addressed. Want to learn more? Download the Higher Education Solution Brief. The United States Department of Defense conducted a security audit on the U.S. ballistic missile system and found shocking results. The system’s security was outdated and not in keeping with protocol. The audit revealed that the US’s ballistic system was lacking data encryption, antivirus programs, and multifactor authentication. Additionally, the Department of Defense also found 28-year-old security gaps that were leaving computers vulnerable to local and remote attacks. Obviously, the Missile Defense Agency must improve its cybersecurity posture before the use of defense weaponry is required. The security of Facebook users continues to be in question due to the company’s illicit use of private messages. The New York Times discovered Facebook documents from 2017 that explained how companies such as Spotify and Netflix were able to access private messages from over 70 million users per month. There are reports that suggest that companies had the ability to read, write, and delete these private messages on Facebook, which is disturbing news to anyone who uses the popular social network. The personally identifiable information (PII) of current and former NASA employees was compromised early last year. The organization reached out to the affected individuals notifying them of the data breach. The identity of the intruder was unknown; however, it was confirmed that the breach allowed Social Security numbers to be compromised. A group of hackers working for the Chinese government has been indicted by the U.S. Government for stealing intellectual property from tech companies. While the companies haven’t been named, prosecutors have charged two Chinese nationals with computer hacking, conspiracy to commit wire fraud, and aggravated identity theft. A social networking application by the name of Blind failed to secure sensitive user information when it left a database server completely exposed. Blind allows users to anonymously discuss topics including tech, finance, e-commerce, as well as the happenings within their workplace (the app is used by employees of over 70,000 different companies). Anyone who knew how to find the online server had the ability to view each user’s account information without the use of a password. Unfortunately, this security lapse exposed users’ identities and, consequently, allowed their employers to be implicated in their work-related stories. Way back in 2013/14, Cloud Access Security Brokers (CASBs) were first deployed to identify Shadow IT, or unsanctioned cloud applications. At the time, the prevailing mindset amongst security professionals was that cloud was bad, and discovering Shadow IT was viewed as the first step towards stopping the spread of cloud in their organization. Flash forward just a few short years and the vast majority of enterprises have done a complete 180º with regards to cloud, embracing an ever increasing number of “sanctioned” cloud apps. As a result, the majority of CASB deployments today are focused on real-time data protection for sanctioned applications – typically starting with System of Record applications that handle wide swaths of critical data (think Office 365, Salesforce, etc). Shadow IT discovery, while still important, is almost never the main driver in the CASB decision making process. Regardless, I still occasionally hear of CASB intentions that harken back to the days of yore – “we intend to focus on Shadow IT discovery first before moving on to protect our managed cloud applications.” Organizations that start down this path quickly fall into the trap of building time consuming processes for triaging and dealing with what quickly grows from hundreds to thousands of applications, all the while delaying building appropriate processes for protecting data in the sanctioned applications where they KNOW sensitive data resides. Putting first things first is all about focusing on your most important priorities. There’s a video of Stephen famously demonstrating this habit on stage in one of his seminars. In the video, he asks an audience member to fill a bucket with sand, followed by pebbles, and then big rocks. The result is that once the pebbles and sand fill the bucket, there is no more room for the rocks. He then repeats the demonstration by having her add the big rocks first. The result is that all three fit in the bucket, with the pebbles and sand filtering down between the big rocks. You have major sanctioned apps in the cloud that contain critical data. These apps require controls around data leakage, unmanaged device access, credential compromise and malicious insiders, malware prevention, and more. Those are your big rocks and the starting point of your CASB rollout strategy. Focus too much on the sand and you’ll never get to the rocks. Read what Gartner has to say on the topic in 2018 Critical Capabilities for CASBs. There are two schools of thought on how organizations should accomplish the above. The first entails beginning by securing your most-used SaaS apps (Office 365, Box, G Suite, Slack, et cetera). This is ideally done through a multimode cloud access security broker (CASB) that secures data access in real time via proxy, and secures data at rest in the cloud through API integrations. As these major apps are the primary locations to which your data is flowing, they are your first responsibility to address. From there, a shadow IT discovery tool can be used to identify the other, less frequently used SaaS apps that employees are accessing. When these uncommon, less widely known apps are discovered, you may then choose to perform policy-based remediations; for example, coaching users to sanctioned alternatives, making shadow IT apps read only, or blocking access altogether. In this way, the larger security gaps are addressed before the smaller ones, meaning that your boat is successfully patched and gets to sail onward. The other approach to cloud security says that organizations should perform shadow IT discovery before they begin to secure major SaaS applications and enforce data protection policies. In other words, you have to identify everything before you can begin securing anything. With this approach, you start by hunting down every minuscule security gap before beginning to address the apps that represent the largest data leakage threats, meaning that your boat is allowed to take on water. Gaining insight into SaaS app usage is helpful for the enterprise; however, there’s a handful of apps that act as the gateway to your cloud journey. Addressing these commonly used applications first is the right way to secure your cloud migration. Once you have your bases covered in this way, you can further strengthen your security posture by performing shadow IT discovery and securing the other apps that represent the metaphorical small holes in your boat. With this measured and methodical security approach, you can confidently continue to transform your business and sail into the cloud. A competing CASB vendor blogged recently on why proxy-based Cloud Access Security Brokers (CASBs) shouldn’t be used for Office 365. The post cites “7 reasons,” all of which are variations of just one reason: their CASB breaks each time Microsoft makes changes to Office 365. What they call “application breakages” due to “updates,” are really “CASB outages.” In other words, dog ate their homework. A commonly cited issue with proxies (the only way to achieve real-time cloud data loss prevention or DLP) is their ability to adjust to the near constant changes in cloud applications. However, without an automated solution that can respond to these changes in real time, it’s up to quick response by CASB engineers to fix breakages after they occur, which leads to inevitability of downtime. Make sure you don’t fall into this trap. Select a CASB that can adapt to changes on the fly. Don’t throw out proxy technology completely just because some vendors can’t do it properly. Managed vs Unmanaged Device Access Control – For most organizations, a managed device represents a much lower risk than an unmanaged BYO device. Proxy-based controls allow you to distinguish between the two and provide a different level of access to the app and to sensitive corporate data. Real-time Data Leakage Prevention – API-based integration with apps like Office 365 is great for scanning data-at-rest, but only provides “Monday morning” notifications of data leakage. Proxies prevent data leakage in real-time. BYOD Malware Prevention – Your organization probably has unmanaged devices connecting into Office 365. Devices that could be infected with malware. Proxy-based solutions stop malware from making its way into Office 365, thwarting would-be attempts to use Office as an IT sanctioned and paid for malware distribution tool. Session Management – You likely want to aggressively time out and reauthenticate users on unmanaged or new devices. Possible with proxy, not possible with API. Step-up Multifactor Authentication – See suspicious activity mid-session? Evidence of credential compromise? Only inline CASB allows you to do something about it as it starts to occur. Data-at-rest Encryption – In many industries, there is a desire to use the public cloud but without giving up control over your data. Proxy-based CASBs allow you to encrypt data before it gets to the cloud. Public cloud apps with private cloud security – have your cake and eat it too! Bonus: One bonus add — Office 365 might be your main (or only) cloud app today, but that will most definitely change in the future. The fact is, only a small handful of cloud applications provide APIs that are security relevant, whereas a properly architected proxy can support any application. The Cloud Access Security Broker, or CASB, space has quickly made its way to the mainstream, with organizations of every size and every industry deploying CASBs whenever their data moves beyond the firewall. While ready for primetime and widely deployed, some enterprises are taking the risky step of skipping the proof-of-concept or trial phase. Given the rapid evolution of the enterprise use cases, and of CASB vendor solutions, we always encourage organizations to #POCtheCASB (of course, it helps that our sales team has complete confidence in the quality of our CASB solution and in our support …). Proxy Robustness – A commonly cited issue with proxies (the only way to achieve real-time cloud data loss prevention or DLP) is their ability to adjust to the near constant changes in cloud applications. However, without an automated solution that can respond to these changes in real time, it’s up to quick response by CASB engineers to fix breakages after they occur, which leads to inevitability of downtime. Make sure you don’t fall into this trap. Select a CASB that can adapt to changes on the fly. Don’t throw out proxy technology completely just because some vendors can’t do it properly. User Experience – The days of the security team being able to put their needs ahead of the user experience are long gone. Be sure to test with volunteer users from a variety of different business units or departments. Ensure that the CASB solution preserves the user experience and requires minimal or no retraining for your test group. Managed and Unmanaged Device Access – Even if you held BYOD at bay with premises applications, it will become a reality when you move to the cloud. Be sure to test the capabilities of the CASB on both managed devices, as well as on a range of BYO device types to ensure that policy and control capabilities work equally well on all device types. Performance – A well-architected CASB solution should offer high performance and low latency for all users globally, as well as when under peak load. Test from a variety of geos and from several different times of day. Enterprise Integration – Most enterprises end up integrating their CASB into several other systems including Active Directory, IDaaS, network DLP, SIEM and more. Test to be sure that the CASB has appropriate connectors for each of these systems. Flexibility – You might initially deploy a CASB for a small number of cloud applications, but for most enterprises, their cloud footprint begins to evolve and grow rapidly once cloud takes root in the organization. Ensure that you develop test cases that exercise the CASBs ability to test not only your current needs, but the future needs of your business. Policy – Last but not least, test out the policies you plan to develop on your CASB! Whether you’re planning to use baseline policies like access control and UEBA, or more sophisticated policies involving DLP and encryption, run the test CASB(s) through their policy paces. EU GDPR vs US: What Is Personal Data? It’s personal. Or, is it? First topic, what constitutes personal data? In the US, when we hear “personal data,” that usually equates to Personally Identifiable Information (PII). PII, according to the CIO of the US Navy, is “information which can be used to distinguish or trace an individual’s identity, such as their name, social security number, date and place of birth, mother’s maiden name, biometric records, including any other personal information which is linked or linkable to a specified individual.” This has become an important enough topic that NIST has created a list of specific fields that constitute PII. How does this differ from how personal data is defined in GDPR? In other words, personal information includes the US definition of PII, but goes much further. In addition to PII, personal information can include IP address (yes, even dynamic IPs with user behind a router doing NAT/PAT), sexual preference, medical prescriptions, occupation, eye color, shoe size and puzzling fandom of the band Survivor. That’s lesson #1 – personal data, as defined by GDPR, goes far further than the typical US definition of PII. Email is the #1 attack vector. Cloud Account Takeover is the #1 attack target. A CASB is the best way to protect against these threats. Gartner first defined the term Cloud Access Security Broker (CASB) in 2011, when most IT applications were hosted in the data center and few companies trusted the cloud. Most online services were primarily aimed at the consumer. At the time, CASB products were designed to provide visibility for so-called Shadow IT and limit employee access to unauthorized cloud services. Today, organizations have embraced the cloud, replacing many of their datacenter applications with Software as a Service (SaaS) or moving much of their IT into infrastructure (IaaS) providers like Amazon or Azure. Instead of limiting access, CASBs have evolved to protect cloud-hosted data and provide enterprise-class security controls so that organizations can incorporate SaaS and IaaS into their existing security architecture. CASBs provide four primary security services: Visibility, Data Security, Threat Protection, and Compliance. When comparing CASB solutions you should first make sure that they meet your needs in each of these categories. A CASB identifies all the cloud services (both sanctioned and unsanctioned) used by an organization’s employees. Originally, this only included the services they would use directly from their computer or mobile device, often called “Shadow IT“. Today, it is possible for an employee to connect an unsanctioned SaaS directly to a an approved SaaS via API. This “Shadow SaaS” requires more advanced visibility tools. Shadow IT Monitoring: Your CASB must connect to your cloud to monitor all outbound traffic for unapproved SaaS applications and capture real-time web activity. Since nearly all SaaS applications send your users email notifications, your CASB should also scan every inbox for rogue SaaS communication to identify unapproved accounts on an approved cloud services. Shadow SaaS Monitoring: Your CASB must connect to your approved SaaS and IaaS providers to monitor third-party SaaS applications that users might connect to their account. It should identify both the service as well as the level of access the user has provided. Risk Reporting: A CASB should assess the risk level for each Shadow IT/Shadow SaaS connection, including the level of access each service might request (i.e. read-only access to a calendar might be appropriate, read-write access to email might not.) This allows you to make informed decisions and prioritize the applications that need immediate attention. Event Monitoring: Your CASB should provide information about real-time and historical events in all of your organization’s SaaS applications. If you do not know how the applications are being used, you can not properly control them or properly assess the threats facing your organization. A CASB enforces data-centric security policies by offering granular access controls or encryption. It incorporates role-based policy tools, data classification and loss prevention technologies to monitor user activity and audit, block or limit access. Once, these were stand-alone systems. Today it is vital that they are integrated into the organization’s data policy architecture. Data Classification: Your CASB should identify personally identifiable information (PII) and other confidential text within every file, email or message. Taking this further, it should be capable of applying policies to control how that sensitive information can be shared. Data-Centric Access Management: Your CASB should allow you to manage file permissions based upon the user’s role and the type of data the file contains using cloud-aware enforcement options that work within the context of the cloud service. Policy-based Encryption: Your CASB should be able to encrypt sensitive information across all your cloud services to ensure data security, even after files leave the cloud. A CASB protects cloud services from unwanted users or applications. This might include real time malware detection, file sandboxing or behavior analytics and anomaly detection. New threats require new protections, so the list should include anti-phishing, account-takeover detection and predictive (A.I.) malware technologies. Anti-phishing Protection: Phishing attacks are the #1 source of data breaches every year, but few CASBs offer phishing protection for cloud-based email. For a technology that is protecting your cloud environment, anti-phishing is a must. It has been proven over and over again that your email provider is not a viable solution to the phishing problem. Account Takeover Protection: Your CASB should monitor every user event (not just logins) to identify anomalous behavior, permission violations, or configuration changes that indicated a compromised account. URL Filtering: Your CASB should check every email, file, and chat messages for malicious links. Real Time Malware Detection: Your CASB should scan every email and file for active code and malicious content before it reaches the inbox. Advanced Threat Sandboxing: Your CASB should test suspicious files in an emulation environment to detect and stop zero-day threats. Regulated organizations require auditing and reporting tools to demonstrate data compliance and a CASB should provide all the necessary auditing and reporting tools. More advanced solutions offer policy controls and remediation workflows that enforce regulatory compliance in real time for every industry, from GDPR and SOX to PCI and HIPAA..
SIEM Integration: Your CASB should collect and correlate user, file and configuration events from each cloud application installed in your organization’s environment and make them visible through your organization’s existing reporting infrastructure. Auditing: Your CASB should have access to historical event data for retrospective compliance auditing as well as real-time reporting. Enforcement: Your CASB should be able to move and encrypt files, change permissions, filter messages or use any number of cloud-native tools to ensure compliance through automated policies. As you may have noticed, across all the CASB criteria, email security is a major component. Can this really be that important? After all, so few CASBs include email security. No matter the motivation, email continues to be the most common vector for enterprise breaches. Phishing and pretexting represented 98% of social incidents and 93% of breaches last year. Protection for the cloud must include protection for cloud-based email. Without cloud-based email security, a CASB is not truly providing full cloud security and is just acting as a simple Shadow IT tool. While a solution doesn’t need to have every feature mentioned in this blog post in order to sell themselves as a CASB, they are the criteria that separate the CASBs that are complete security solutions from those that will need to be paired with additional security tools. If you want a CASB to act as your full security suite protecting your organization from cloud-borne threats then this will serve as a useful checklist. In recent years, the cloud has attracted countless organizations with its promises of increased productivity, improved collaboration, and decreased IT overhead. As more and more companies migrate, more and more cloud-based tools arise. In its fourth cloud adoption report, Bitglass reveals the state of cloud in 2018. Unsurprisingly, organizations are adopting more cloud-based solutions than ever before. However, their use of key cloud security tools is lacking. Read on to learn more. Single sign-on (SSO) is a basic, but critical security tool that authenticates users across cloud applications by requiring them to sign in to a single portal. Unfortunately, a mere 25 percent of organizations are using an SSO solution today. When compared to the 81 percent of companies that are using the cloud, it becomes readily apparent that there is a disparity between cloud usage and cloud security usage. This is a big problem. While using the cloud is not inherently more risky than the traditional method of conducting business, it does lead to different threats that must be addressed in appropriate fashions. As adoption of cloud-based tools continues to grow, organizations must deploy cloud-first security solutions in order to defend against modern-day threats. While SSO is one such tool that is currently underutilized, other relevant security capabilities include shadow IT discovery, data loss prevention (DLP), contextual access control, cloud encryption, malware detection, and more. Failure to use these tools can prove fatal to any enterprise in the cloud. Office 365 and G Suite are the leading cloud productivity suites. They each offer a variety of tools that can help organizations improve their operations. Since Bitglass’ 2016 report, Office 365 has been deployed more frequently than G Suite. Interestingly, this year, O365 has extended its lead considerably. While roughly 56 percent of organizations now use Microsoft’s offering, about 25 percent are using Google’s. The fact that Office 365 has achieved more than two times as many deployments as G Suite highlights Microsoft’s success in positioning its product as the solution of choice for the enterprise. Through infrastructure as a service (IaaS), organizations are able to avoid making massive investments in IT infrastructure. Instead, they can leverage IaaS providers like Microsoft, Amazon, and Google in order to achieve low-cost, scalable infrastructure. In this year’s cloud adoption report, every analyzed industry exhibited adoption of Amazon Web Services (AWS), the leading IaaS solution. While the technology vertical led the way at 21.5 percent adoption, 13.8 percent of all organizations were shown to use AWS. To gain more information about the state of cloud in 2018, download Bitglass’ report, Cloud Adoption: 2018 War. Despite the fact that Twitter doesn’t store or display users’ credentials in plaintext, the social media company recently had a security mishap. Passwords were stored in internal logs before they were successfully obfuscated, exposing them to employees in plaintext. While the information wasn’t made viewable to outside parties, it’s still a cause for concern for Twitter’s users. New malware, PyRoMine, leverages a host of previously disparate capabilities featured in other strains of malware. For example, it uses NSA exploits while mining Monero, a cryptocurrency. Malware is continuing to grow more sophisticated, compelling organizations to adopt advanced anti-malware solutions. Disguised as a stress-relieving paint program, Stresspaint is a piece of malware that is attacking users in an attempt to gather their Facebook credentials. In particular, the malware is targeting influential users – those who manage Facebook pages or have numerous friends and followers. It is primarily distributed through emails and messages on Facebook. MassMiner is the latest in a slew of malware strains that engage in malicious cryptomining. This threat seeks to take advantage of known vulnerabilities in order to commandeer web servers and mine Monero – which continues to be a common target in malicious cryptomining. Unfortunately for those who have used the organization’s services for their student loans, Access Group Education Lending has been breached. Nearly 17,000 borrowers had their information exposed when a loan processing vendor working for the group shared their information with an unauthorized, unknown company. Fortunately for the enterprise, cloud access security brokers (CASBs) can defend against zero-day malware and countless other threats. To learn more, download the Zero-Day Solution Brief. Google’s Chromebooks have enjoyed significant adoption in education, but have seen very little interest in the enterprise until recently. According to Gartner’s Peter Firstbrook in Securing Chromebooks in the Enterprise (6 March 2018), a survey of more than 700 respondents showed that nearly half of organizations will definitely purchase or probably will purchase Chromebooks by EOY 2017. And Google has started developing an impressive list of case studies, including Whirlpool, Netflix, Pinterest, the Better Business Bureau, and more. And why wouldn’t this trend continue? As the enterprise adopts cloud en masse, more and more applications are available anywhere through a browser – obviating the need for a full OS running legacy applications. Additionally, Chromebooks can represent a large cost savings – not only in terms of a lower up-front cost of hardware, but lower ongoing maintenance and helpdesk costs as well. Overall, the outlook for Chromebooks in the enterprise is positive, with a very real possibility of dramatically simplifying security. Now, instead of patching and protecting thousands of laptops, the focus shift towards protecting data in a relatively small number of cloud applications. Quite the improvement! This data breach highlights the struggle that many companies face on a day-to-day basis. Stated simply, organizations cannot afford to secure their data in the dark. Lacking comprehensive visibility makes it nearly impossible to protect sensitive information – you cannot defend against threats that you can’t see. Where enterprises fail to maintain automatic, thorough logging of all events involving corporate data, breaches are sure to follow. The fact that Orbitz was unable to confirm whether a hacker had stolen information is evidence that it lacked adequate visibility. If the company had tools that provided said visibility, then identifying a data breach would have been fairly simple. Additionally, with real-time capabilities, the company could have identified the potential breach the moment that it occurred (somewhere between October and December of 2017), rather than months after the fact. The speed at which hackers, malware, and malicious insiders can exfiltrate data demands real-time security and comprehensive visibility. Incomplete, reactive security tools are incapable of providing protection in today’s rapid, cloud-first world. Only a cloud access security brokers (CASB) can provide what the modern enterprise needs.